Here we are, eight years after Pope Benedict XVI’s motu proprio, Summorum Pontificum, came into effect. 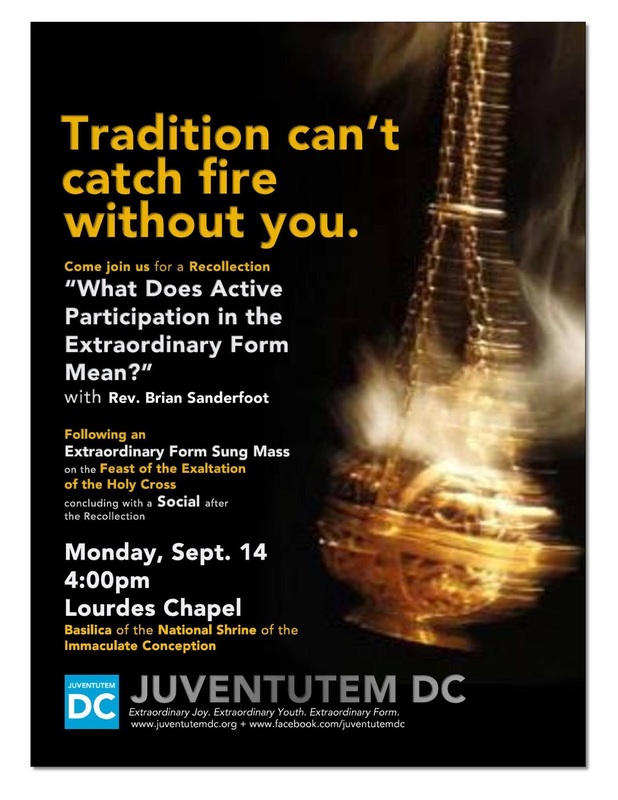 This is an extraordinary day, both for those who endured long years without the clarity that Summorum provides, as well as for younger Catholics (like those in Juventutem DC) who grew up after Vatican II and were — to the surprise of many — drawn to tradition. So where are we eight years after Summorum took effect? For context, let’s reflect on some typical comments Juventutem DC has heard. The Indult was the mechanism to get the traditional Mass before Summorum was issued. The general consensus is that those who didn’t like the traditional Mass used the Indult to limit its celebration. It was a flawed licensing system — completely at the discretion of the bishop. Pope Benedict XVI called out its weaknesses in his letter introducing Summorum. In fact, the very first article of Summorum explains that the documents that created the Indult system are replaced by Summorum. That’s a big deal: eight years ago on this day, the 1984 Indult became a legal nullity. Yet, to this day, some diocesan authorities have been slow or unwilling to move beyond Indult-style restrictions. It’s wrong. It’s not healthy or helpful, but it’s not really all that surprising. But what’s with all the laity who still have an Indult-mentality? The three comments above are emblematic and probably, there are a number of reasons for this mentality. Many laity and clergy simply assume that Church law prescribes this state of affairs. Even the focus on obtaining clergy from an Ecclesia Dei priestly society to run local parishes is understandable: they do amazing work and even Juventutem International’s chaplain is an FSSP priest! But the assumption that the Extraordinary Form begins and ends with these societies and orders is a false one. Summorum is meant for everyone, for all parishes and dioceses. Above all, we think that this mentality is the result of a vague familiarity with certain concepts, but not an in-depth knowledge of Summorum and the 2011 explanatory Instruction of the Ecclesia Dei Commission. Mastery of these two documents will equip laity and priests with the confidence to cease being treated as second-class Catholics as they seek to discover or promote traditional Catholic life in the Church. Summorum is the law, and the Instruction confirms that Summorum is to be given a liberal construction and generous application. In effect, these two documents are the current tools for the restoration of liturgical tradition. So let’s take a step back, gain our bearings, and once and for all, master Summorum. Summorum lays out a simple timeline for anyone in a parish to restore the traditional Mass to its altars. Reading the provisions that pertain to parishes in the order in which they appear in the document reveals a robust framework that empowers priests and the laity alike. Step 1: the lonely priest in a parish. Under Art. 2, any priest can privately (i.e., “without a congregation”) say the traditional Mass. He doesn’t need any permission from the Holy See or his bishop or pastor to do so. Imagine a priest, probably with a server, saying Mass at an unscheduled time in his parish church occasionally. Arguably, this is a low Mass. Step 2: the not-so lonely priest. Lay faithful see that the priest is saying an Art. 2 Mass in the parish. They say, “Father, thank you! May we assist at this Mass?” Under Art. 4, those lay faithful may assist at the priest’s Art. 2 Mass, and no matter how many people there are, it remains a private Mass and does not require anyone’s permission (neither the pastor nor the bishop may forbid it). Very pragmatic! ● That, of course, presupposes that the faithful are requesting it! Have you asked your priest to implement Summorum? Have you told him you’d help him do so? ● There's no minimum number of people required to be a group and it doesn't matter how long it's been around as a group – the people don’t even have to be from the same parish. Just go for it! ● The careful reader will note a shift from Art. 2 that only mentions Masses “without a congregation” (arguably, a low Mass) to Art. 5 where now we can choose from all the various forms of “Holy Mass according to the rite of the 1962 Roman Missal.” That’s a lot of options beyond a low Mass—pick a Mass, any Mass—Missa cantata? 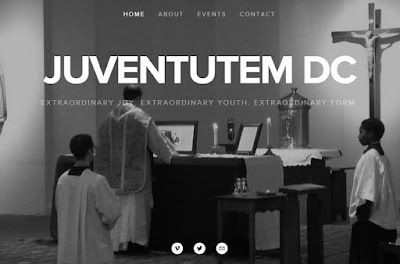 Solemn Mass? Go for it! ● These Art. 5 Masses can be said on any feria, Sunday, or feast day. Again, when requested, they are permitted for marriages, funerals, or other reasons, including pilgrimages. In each case, Summorum says that the pastor should grant the request of the faithful. Step 4: if the pastor doesn’t grant the request. Let’s say things go poorly. If the pastor doesn’t grant the group’s request, then under Art. 7, the group “should inform the diocesan bishop [and] [t]he bishop is earnestly requested to satisfy their desire.” If the bishop doesn’t do so, then the group can petition the Pontifical Commission Ecclesia Dei in Rome to help find a solution. The laity does not need any permission from an unsympathetic chancery to do so—Summorum has a check where the Indult system was lacking. So you see, there is a real framework and there are real protections, at least for the laity. But someone has to ask a priest for the Mass—ask for it! Keep asking for it! 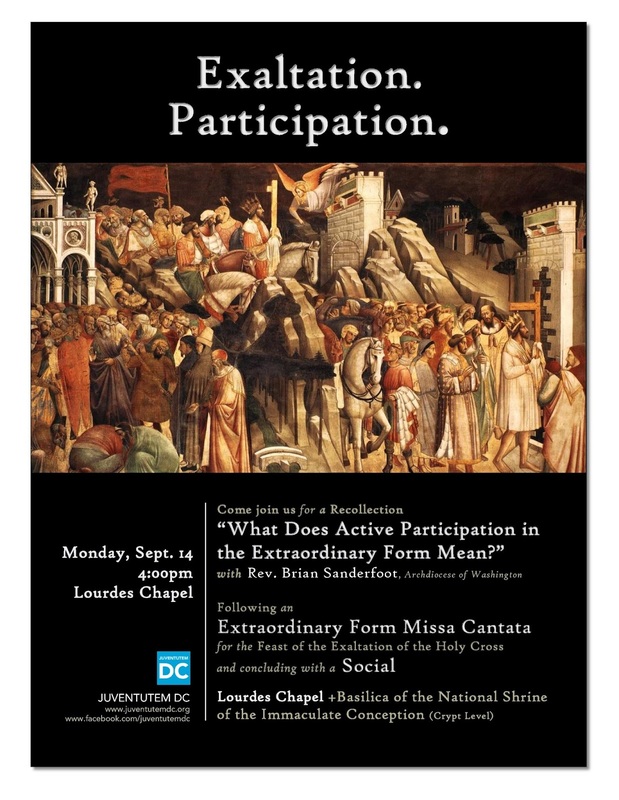 Invite your friends, even those who go to Mass in the Ordinary Form. Share your faith with them; help them discover tradition. Buy your priest a 1962 Roman Missal—you’d be surprised how effective that is. If you can’t afford a Missal, find someone who can. Amass a talent pool of singers and servers, even if you have to train people. And if an aging hold-out in the diocese doesn’t like what your priest is doing, be ready to defend him. Zealously advocate for him and for your spiritual needs, keeping charity in your hearts while you do so. Just as the logic of Summorum is incompatible with the crummy Indult system, it is completely inconsistent with lay inertia, slactivism, and complacency with the status quo ante. We recommend using the tools of Summorum to your full advantage, with contagious joy and unwavering enthusiasm. Have courage, have guts, and be prepared to talk to a lot of people who have no idea what Summorum says. Help them understand it—both friend and foe. And, lest we forget, birotā vehimini!